Isolated from soil. Forms red pigment (best on high carbohydrate medium) and has oval eccentric spores. 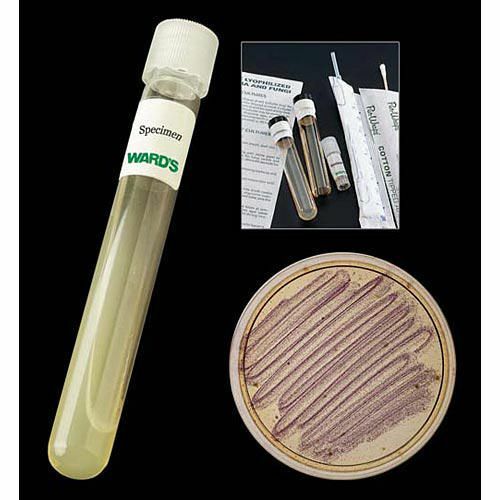 This organism is offered as a ready-to-use tube culture, as well as in a freeze-dried culture for longer storage. Freeze-dried organisms come with everything you need to rehydrate and culture the organism when you're ready.